Have you heard the one about the cop who tells a homeowner that her dog has been chasing a guy on a bike? Choosing abrasives to do sensitive sanding jobs is a bit like that. One really has to read carefully to understand exactly what specific sandpaper can do and, more importantly, what it can’t do. A few words misconstrued can be the difference between an unacceptable and a great sanding job. Ever been confused about open and closed coatings? According to Klingspor, an open-coat sanding belt is “a coated abrasive product in which the abrasive grain covers approximately 50 to 70 percent of the coated side surface. 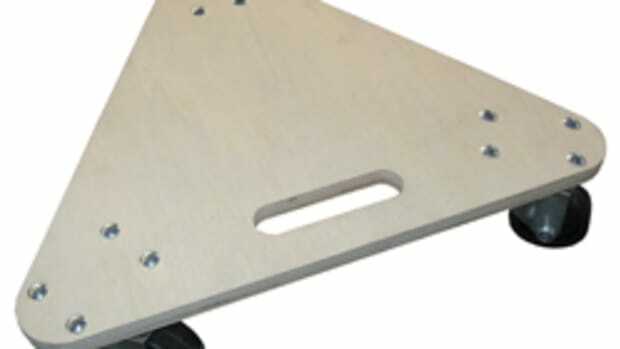 [This] helps to retard loading of sticky or gummy materials such as softwoods or paint. 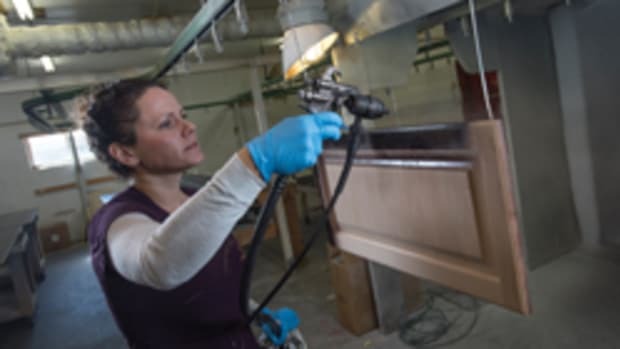 Closed-coat is better for sanding metal and wood finishes, but clogs easily with sawdust.” Other topics discussed include the difference between silicon carbide, aluminum oxide and aluminum zirconia, and a listing of the various grading systems in the U.S. and Europe. 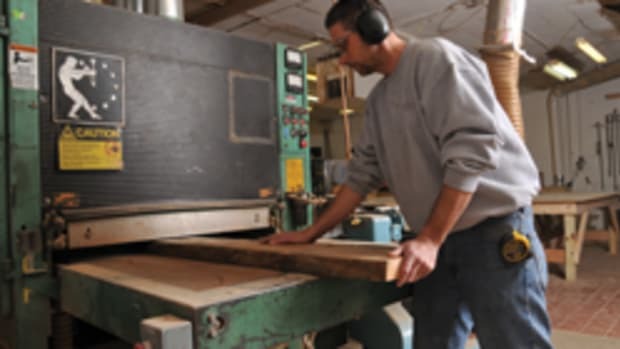 Grading is an interesting subject for woodworkers who are thinking of switching abrasive brands. Klingspor, being based in Haiger, Germany, uses the European FEPA (Federation of European Producers of Abrasives) standard. FEPA products have the letter “P” prior to the grit designation. There are two systems used in North America, ANSI and CAMI (Coated Abrasive Manufacturers Institute), which are actually quite similar. Ohio-based Gator Finishing Products (http://gatorfinishing.com) explains the American method this way on the company website: “The size of grit is … the number of holes per linear inch in a sieve screen. Our Gator sandpaper ranges from 24 grit (Extra Coarse) to 1500 grit (Mirror Fine).” There’s a conversion chart on Dieter Schmid’s Fine Tools site at www.fine-tools.com and it lists ANSI and FEPA grit sizes (along with several other less mainstream and more industry specific standards). For example, a P220 FEPA grit would equate to 180 in the U.S.
On the Gator website, the FAQ section also tackles the differences between aluminum oxide and zirconium oxide and discusses garnet, ceramic and emery. If you need to know about issues such as, for example, stearate (a soapy substance that reduces clogging) or if you’d like to know when you should use wet/dry paper, cruise the FAQ pages. While the abrasive manufacturers obviously have a vested interest and some of their answers will recommend their own product lines, there’s still a great deal of sound information out there that is easy to retrieve and easy to understand. Speaking of abrasive manufacturers, Shopsmith and Ali Industries have now teamed up to offer a complete line of premium abrasives under the Shopsmith Abrasives banner (http://shopsmithabrasives.com). Two of the simplest products from this union share similar technology in an effort to take some of the pain out of hand sanding. Both the Micro Zip and Finishing Block sanders are ergonomically shaped to fit a hand comfortably and grits can be quickly switched because they have hook and loop bases. The Micro Zip is designed to get into tight spots and the larger Finishing Block has a hard, flat plate inside that acts like a platen to provide a smooth and even finish. It works beautifully on large panels between final topcoats. Shaping the manner in which an abrasive meets a surface is critical. Opti-Sand (www.opti-sand.com) has been manufacturing flexible finger sanders to reach around the curves of contours since 1999. Located in West Chicago, Ill., the company started out making molding sanders and now tackles everything from entry doors to face frames. Opti-Sand’s model VSA-8 hanging-door line sander will even sand finish and sealer on full-size entry doors. 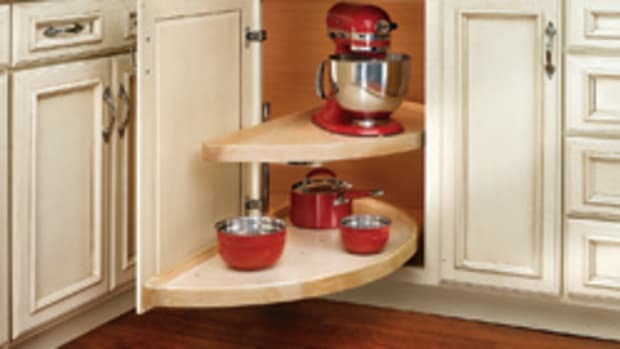 And its innovative EasySand 224 is designed to sand curved parts and decorative trim. It has twin spindles with forward/reverse rotation and double-sided abrasive strips that allow a woodworker to put up to four different grits on the sander simultaneously. If your shop is looking at large panel production and needs information on wide belt sanding, Timesavers Inc. (www.timesaversinc.com) has a suggestion. The Minnesota-based manufacturer has published a book, “Widebelt Sanding Principles” ($95, or free with the purchase of a new multiple head machine) that helps make the purchasing decision a thoroughly informed one. With more than 50,000 units in the field, the company manufactures planer sanders, segmented polishers, orbital and molding sanders and a line of rotary brush machines. Timesavers also builds wide-belt sanders, available in top only, or top-and-bottom configurations, and from 25” to 84” wide. Plus, it will build you a custom sander if that’s what you need. For the small shop (or for small jobs in a big shop) there’s the SpeedSander that has a top head and a single- or three-phase motor. Top head means the belt is above the workpiece. 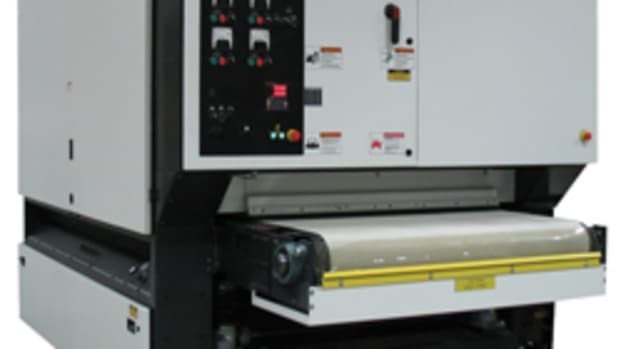 And for operations that need to process a lot of panels, there are a couple of models that can accommodate up to five different sanding grits simultaneously and can also be equipped with both top and bottom heads, so both faces are processed in one pass. That should save a little time. Long known as a supplier of state-of-the-art edgebanding and CNC equipment, Biesse America (www.biesseamerica.com) has now teamed up with Viet, a manufacturer of wide-belt and brush-sanding solutions. Its most rugged offering, the Vareria series, is touted as a solution for big jobs such as calibrating large, solid wood beams for timber-frame construction. It uses from one to eight operating units (different working heads) and is powered by motors up to an impressive 100 hp. The company’s new Opera 7 Sander can handle work up to 86” wide. At the other end of the scale, Viet’s S211 VN wide belt sander is designed for solid-wood and veneer applications. Its 44” x 75” abrasive belt will handle work up to 43” wide, and just 3mm (.118”) thick. Stiles Machinery in Grand Rapids, Mich. (www.stilesmachinery.com) now offers four models in the Ironwood series of wide belt sanders. Running on power plants up to 20 hp, these sleek and very European-looking machines are all about precision. Thickness adjustments are quickly and easily made using a programmable controller. The sanders have easy to adjust sanding pads, contact rollers and variable feed speeds and the mix of power and infinite control makes them suitable for any task from calibrating solid wood to finish sanding. Some small shop wide sanders don’t use belts: instead, they are equipped with one or more drums. The advantage to a couple of Minnesota-based SuperMax Tools’ machines is that the drums can also be replaced with wide brushes for contour work. The company (www.supermaxtools.com) makes two designated brush-only machines (one single and one double head); seven drum sanders (four of which offer dual heads for two different grits); and two machines that can operate in either mode. The latter come in 13” wide and 19” to 38” wide options (one end is open, so the panel can be sanded halfway across, reversed and then fed through for a second pass to complete the job). Another small sander got some good press at the IWF last August. Dixon Abrasives (http://surfprepsanding.com) in Lake Elsinore, Calif., used its ocean proximity in a clever pun to name its product line. There are half a dozen SurfPrep pad sanders and all but one are pneumatic. The Surge electric sander has a small (just 3” x 4”) base that is designed to sand into tight areas and corners effortlessly. Surge can also be used anywhere in the world because it reads 100-240 volts, 47-63 HZ and even converts 30-volt DC. The sander is built with two internal CPU boards and a proprietary housing design with a cooling fan to prolong the life of the tool. 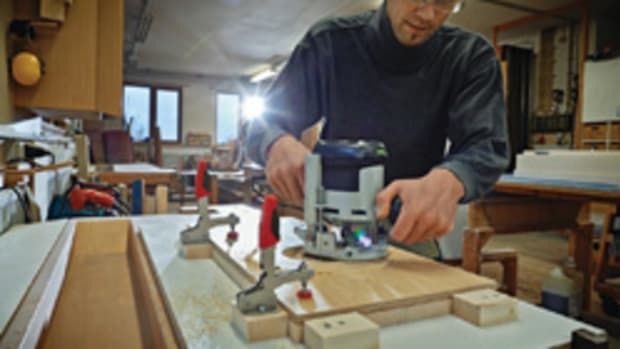 Another inspired sanding product is the Ceros line from Mirka Ltd., which is headquartered in Finland (www.mirka.com). There’s a detail sander with a pad that is just a hair smaller than a 35mm hinge recess. Called the 150NV, it is ideal for removing small dust particles. One step up and ideal for blending is the Ceros 77mm (3”) diameter 325CV and there are seven more models in the line that are either 125 or 150mm (4.9” or 5.9”). A few are intended for specific countries, and most are equipped for hookup to dust collection systems. All of Mirka’s sanders are lightweight, rugged, powerful, very quiet and really well-shaped for a comfortable grip. This article originally appeared in the June 2015 issue. 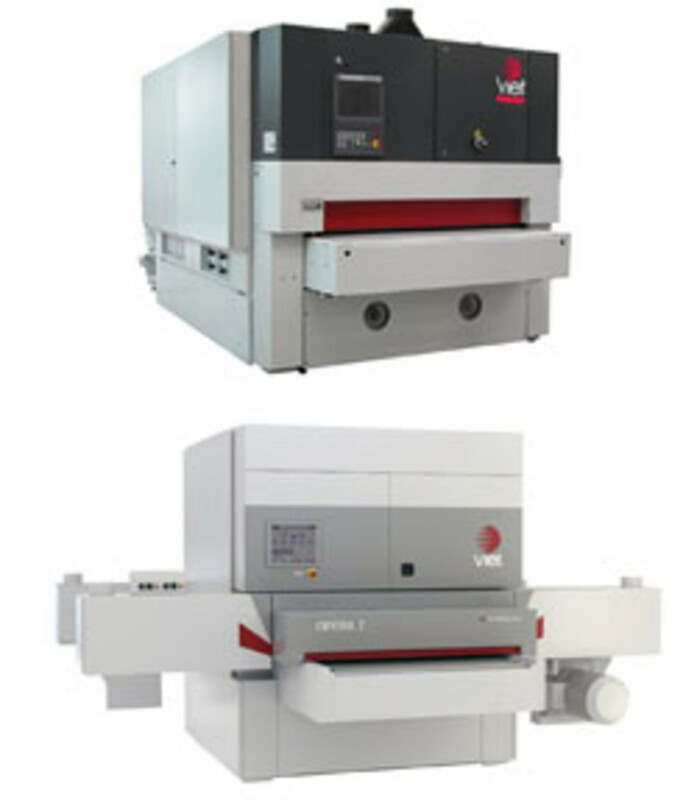 Shops searching for multi-function machines have plenty of choices in today’s marketplace. 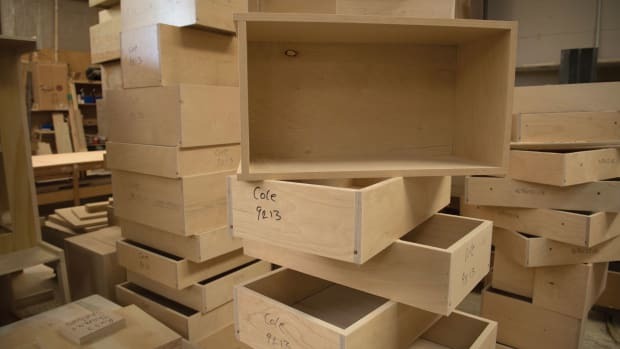 As outsourced parts keep getting better and often less expensive, a woodshop really needs to know whether it’s more profitable to buy components, or still make them in-house.